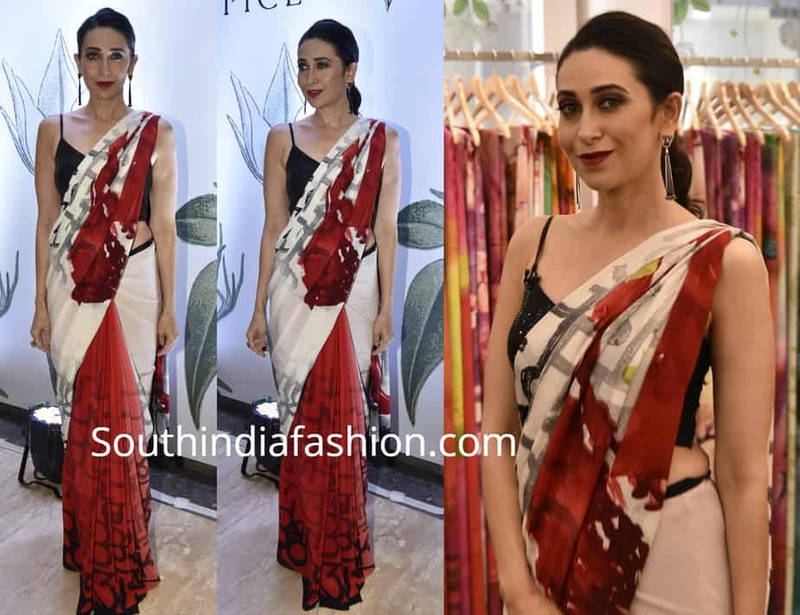 Karisma Kapoor attended Satya Paul‘s new collection launch event wearing a printed saree with black spaghetti strap blouse by the designer. She finished off her look with a pair of black earrings, red lip and a low ponytail! Shop Satya Paul sarees online HERE or HERE!